This entry was posted in news and tagged apps MINI Connected on December 3, 2013 by James Day. SEATTLE–(BUSINESS WIRE)–Dec. 3, 2013– (NASDAQ:AMZN)—Amazon.com, Inc. today announced the availability of Amazon Cloud Player for iOS in BMW Apps and MINI Connected-equipped vehicles from model year 2011 forward. Amazon Cloud Player customers using iPhone and iPod Touch devices can now conveniently access their music using the vehicle’s controller and screen. For more information, customers can visit amazon.com/cloudplayer/auto. The launch of Amazon Cloud Player in BMW and Mini Cooper follows the integration in Ford SYNC Applink-equipped vehicles earlier this year. Amazon provides one of the broadest selections of playback solutions of any major cloud music service with the ability to download, manage and stream music in the cloud. Download the app for Android and Apple devices from Amazon.com, Google Play, or Apple App Store. 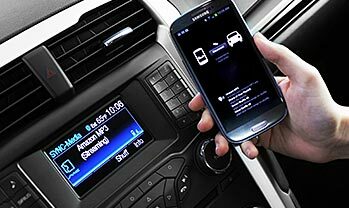 Read the Amazon press release Amazon Cloud Player Now Available in BMW and MINI Vehicles.